The benefits of utilizing the cloud are self-evident. Cutting physical hardware and storage costs, reducing administrative duties and facilitating business agility are inherent in a move to the cloud. However, the question remains: how does a business continue to reap the benefits of the cloud post-migration? One effective strategy might include Microsoft 365. Microsoft’s enterprise solution unites Office 365, Windows 10 and Enterprise Mobility + Security. This integrated solution not only allows you to take advantage of the cloud more efficiently but can also significantly augment your environment with helpful applications and features that enable collaboration, improve productivity and enforce data security. Client applications, such as the Office suite, can be installed by end users with ease, just by signing in and downloading what is necessary from the Microsoft portal. Users can then quickly kick off and collaborate on team projects across their work machines and mobile devices. With integrated workflows, a team can seamlessly co-author documents and each will receive notifications regarding changes. With versioning, you also can revert to previous drafts of documents if an earlier version was ultimately better suited to project requirements. Once a project is complete, it can be shared securely with clients using Outlook Modern Attachments, which verifies that everyone has the same version of a document. Clients can then be given edit or read-only permissions, depending on what is appropriate for that particular project. Microsoft 365 makes it possible to complete work on any device, regardless of your location. Using applications like OneDrive or the mobile Office Suite, you can store and edit documents in the cloud. As Office 365 applications sync across devices, any work that has been started on your work laptop can be completed on your tablet. Additionally, with Microsoft guaranteeing 99.9% uptime, you can be reassured that your hard work will rarely be disrupted. Your data is secure with Microsoft 365. Using Microsoft Flow, you can also ensure that data is only shared with necessary audiences. With Flow you can configure data loss prevention settings to define policies to govern how business data will be shared. this would cover any items that have been uploaded to a SharePoint library, as well as any emails that are being delivered. Another crucial security feature is the built-in Mobile Device Management (MDM), which becomes necessary as users will be performing work on mobile devices and computers at home. Here you can configure user device security and remotely wipe devices in the event they have been lost or stolen to protect your environment. Are you ready to transform teamwork, empower your colleagues and optimize business operations? Your business should consider migrating to Microsoft 365. Unsure of where to start, or just seeking more information? 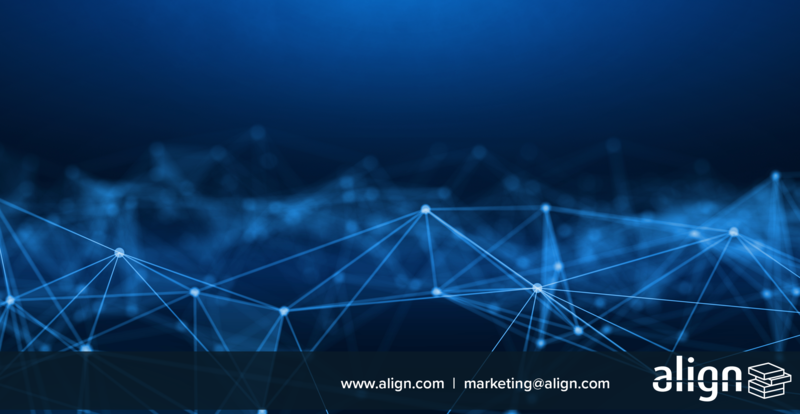 Contact one of Align's Microsoft 365 or migration experts today. We can create a unique solution based on Microsoft 365 that helps you meet your business needs.